Dr. Deutsch is a graduate of the Tufts University School of Dental Medicine in Boston, Massachusetts. After practicing General and Cosmetic Dentistry in Manhattan for 15 years, she pursued her interest in studying the link between oral health and overall systemic health. Dr. Deutsch received a Master's degree in Public Health from Stony Brook in 2010. She has presented research on the importance of oral health during pregnancy, and was featured on WABC-TV News discussing her booklet, "Prenatal Dental Care." Dr. Deutsch is a portrait sculptor and photographer. Her artistic talent naturally extends to all aspects of Cosmetic Dentistry. In addition to dentistry, Dr. Deutsch enjoys attending jazz concerts, theater, visiting museums, yoga, hiking and horseback riding. 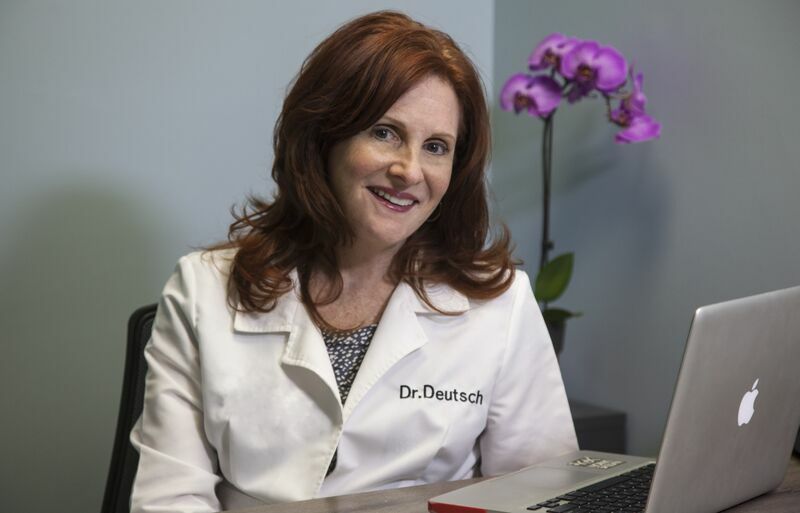 Dr. Deutsch's gentle touch and genuine concern for all aspects of your health will assure you that you are in excellent hands!